The domestic electronic industry is in critical condition. This situation carries the risk of the country’s defense. The government intends to take urgent measures to remedy the situation. All this was told to the students and teachers of the Moscow Aviation Institute (MAI) overseeing the defense industry, Deputy Prime Minister Yury Borisov. “The state of the radio-electronic complex is generally deplorable, I consider it critical,” said Yury Borisov. According to him, the critical situation that has developed in the radio-electronic complex is “a huge misfortune”. “I believe that the greatest risks for the country lie precisely in this area. And from the point of view of defense, and from the point of view of the implementation of projects, including national ones, ”the vice-premier assessed the situation. Borisov took the lack of large-scale microelectronic production as well as an insufficient number of design centers working on new products to the problems of the industry. There are about a dozen of such design centers in Russia, and, for example, in China – more than a thousand. And this is despite the fact that 30 years ago there was no electronic industry in China at all. “Therefore, we have non-competitive avionics,” added the Deputy Prime Minister. 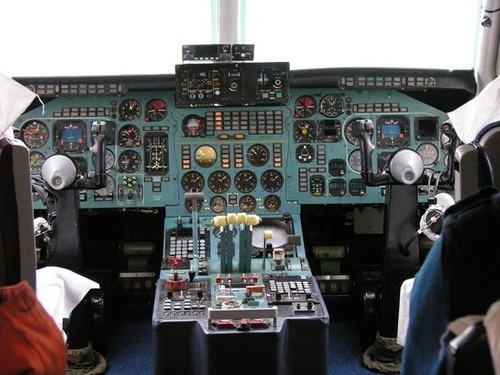 The radio-electronic complex is very important for the aircraft industry, since the competitiveness of aircraft is increasingly determined by the aircraft onboard equipment, instruments, electronics. The plane, according to Borisov, “becomes electric and electronic.” “I think technologists connected with“ digital ”, information technologies, design things, artificial intelligence are the future,” he said. According to his calculations, in the coming years, 20-25 thousand jobs will be created in electronics. The Vice Prime Minister said that now “serious measures will be taken to level this situation.” “If we do not have competitive solutions, our own, domestic, in the broad field of equipment, and we will buy all this there (abroad. -“ MK ”) and implement it here as a service, it will be even worse. We will sit on the next needle. We will pay it all. The money will go there, ”said the Deputy Prime Minister. He said that Prime Minister Dmitry Medvedev supported the proposal to discuss the situation with domestic radio electronics in the government. “A meeting is scheduled for April 20, where we have to present a strategy with colleagues from the Ministry of Industry and Trade. To rethink the market situation, the role and place of the Russian industry in the global economy and those measures that should seriously move this situation, ”said the Deputy Prime Minister. Even in Soviet times, a funny joke was born about how many years we have lagged behind in the electronics industry from the West – by 10 years or forever. It seems that there is no time to joke. It is necessary to catch up, and then there is the danger of remaining on the outskirts of the global digital economy. I have read several good stuff here. Definitely worth bookmarking for revisiting. I surprise how much effort you put to make such a magnificent informative website. Excellent post. I was checking continuously this blog and I’m impressed! Very useful information particularly the last part 🙂 I care for such information much. I was seeking this certain info for a long time. Thank you and best of luck.